When AET Group renovated an early 20th century house for their new office, they installed beautiful skylights and requested a small biofilter for the common space. 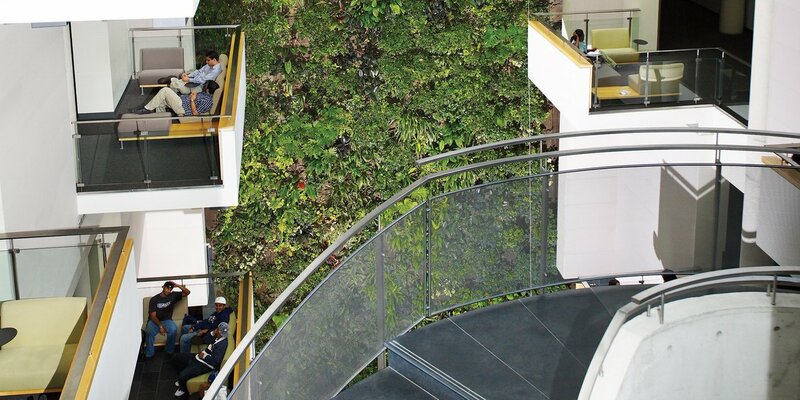 This small, but mighty, living wall biofilter generates 250 cubic feet of clean air per minute. It’s a great addition to any office or home!